Too often, auto manufacturers negligently produce defectively designed or assembled parts that can cause a driver to lose control, cause a risk of fires, or create other dangerous hazards. In the wake of the Takata recall of an estimated 34 million cars,1 much attention has been focused on the possibility of having defective airbags in our vehicles. However, while you should definitely check whether your vehicle has been affected by the airbag recall, there are many other active recalls for defective auto parts that may lead to serious accidents and injuries. 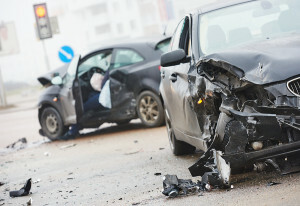 The National Highway Traffic Safety Administration (NHTSA) reports new safety recalls2 on a constant basis so that consumers can always determine whether their car or truck is safe for use. Fleetline fender brackets – Fender brackets that were manufactured in early 2015 were reportedly not sufficiently welded and can cause a fender to either fall against the tires, causing steering hazards or can fall off of the vehicle entirely, potentially causing other vehicles to crash into the fender in the road. Chevy Malibu seat belts – Certain Malibu models from 2011 and 2012 have seat belt cables that can break and cause inadequate protection in the event of a crash. GM brakes – The brakes on certain GM trucks may leak fluid, thereby decreasing the effectiveness of the brakes and creating an increased risk of a collision with other vehicles or objects. Ford steering systems – Some Ford F-150 trucks from 2015 have an improperly assembled steering upper intermediate shaft that can malfunction and cause a driver to lose control of the steering of a vehicle. The above are only a few examples of the numerous auto recalls reported on the NHTSA website and more are issued on almost a daily basis. Auto recalls affect everyone across the country from California to Michigan to the east coast. If you have suffered injury in a collision caused by a defective auto part, an experienced Michigan car accident lawyer can help you today.